All I want for Xmas!! It’s one week til Xmas. Most of us are all in a frantic rush to pull stuff together. Presents, food, Xmas day arrangements, organising holidays and the like. Many of us at work are in a frantic rush to beat our deadlines and get all our work finished so we can relax over the break. Some of us, sadly, are going through hard times and Xmas just magnifies these problems threefold. It’s not all fun and games for everyone. Me? I’ve long done getting excited about presents. I much rather see things happening for the good of all. Real change to a world that excludes. I just want a world that everyone can fit into seamlessly. Farfetched? Probably, but one can only wish. So here it is, what I want for Xmas! First of all can we fix the trains, trams and buses and make them all accessible. Can we make it so that people in wheelchairs, with dicky knees, with mobility needs, who have prams or are simply recovering from injury can get on them? It’s not a big ask. It’s 2018 and you can charge your phone wirelessly but can’t do something as simple as get on a bus. Or can we make it so that deaf people can get on a train and end up where they want to go. This morning, again, my train got re-routed. I have no idea why. Visual display said that the next stop was Parliament as it should have been. It went to Flinders instead. Panic and mayhem ensued cos I was gonna be late for my bacon and egg sanger. But it could have been a job interview or an important work meet and I would not have known. In this day and age where Netflix can caption everything we can’t even make train announcements accessible. Weird hey? And over in Queensland they built these flash new trains for the Commonwealth Games. Eight out of nine of them were not accessible for people with a disability. Not sure how that happened. Probably because in their excitement to build trains for the Commonwealth Games they forgot. At the last minute they realised their whoopsie and applied to the Australian Human Rights Commission for an exemption to disability dicrimination laws. They were denied and rightly so. How can this happen in 2018. How can it happen in the middle of an NDIS roll out where accessible infrastructure is so important to the success of the scheme. Governments, surely, must lead the way. And it happened because a Newman Liberal Government apparently ordered the trains on the cheap. So to save money people with a disability had to miss out. People with a disability had just one train out of nine of which they could get on to go to the Commonwealth Games. And you know the Queensland Government were at risk of lawsuits from people with a disability. But you know the Disability Discrimination Act is so crap I daresay no one bothered. It’s not a big ask. My biggest wish for Xmas is that Australia gets it right. All the time and every time. That it designs things with disability inclusion at the forefront of design. Not as an afterthought when they realise that those steps that they built to get on the train might be a problem. Oh and be my Xmas angel and fix the bloody DDA … Useless piece of paper that it is. 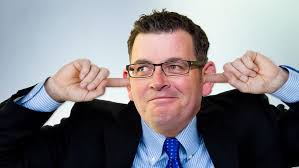 Here in Australia The Rebuttal mostly focuses on Deaf, deaf, hearing impaired, hard of hearing, implantees, the hearing challenged, those with lesser hearing, the partially deafened, the later hearing lossed, the cloth eared the deaf as a posts and those that can hear Eff all. And you know we are still debating about which label is most appropriate. Of all the terms that I have just listed the only one that is really different from the others is Deaf, with a capital D. This is the term that signifies that a person is a member of the Deaf community. These people use Auslan and are part of the rich fabric that is the Deaf community. Deaf is their identity and who they are. That I respect. The other terms simply refer to people that cannot hear, or can hear just a bit, or can hear quite a lot with aids or implants. It’s all about the hearing and the lack of it. Here we are today in 2018 still debating about which term to use. In fact for the trillionth time a survey has gone out asking people with a hearing loss what term they want to be known by. You don’t have a hearing aid device. Do you rely on information being provided in writing such as hand writing, captions, transcripts, software that converts speech to text, lip-reading, avoiding noisy surroundings, or a combination of some or all of these communication techniques? Do you use assistive technology (hearing aid or implant)? Do you communicate using assistive technology, and also using sign language? Do you communicate in Australian sign language, supported by assistive technology? Do you communicate in Auslan only? I had a giggle over the questions. I just kind of figured that they were written in a rush, or by someone with no clue and with absolutely no quality checking. But anyway, if you know how Australian Sign Language is different from Auslan let me know. I know Auslan doesn’t mean Australian Sign Language, it is the name of the language but I am at loss as to what Australian Sign Language is or what sign language is again. Nowhere do I see the term Auslan interpreter either … Let’s just leave that there. But if you want to do the survey the link is below. I want for Xmas is that we stop this stupid debate. Its been going on for ever. Just let people choose whatever they want to be called. 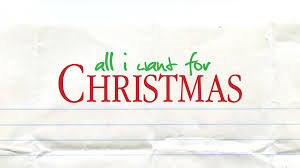 I want for Xmas for our Deaf sector to bind together and focus on issues that matter. You know like solving the interpreter crisis, training more captioners, improving education, supporting families of deaf kids, open captioning at cinemas, theatre to be accessible to Auslan users and those that don’t use Auslan equally. These are really, really important things. Solve these things and all my Xmases will have come at once and you can call me whatever you like. Put simply I have just one Xmas wish and that is that all people with a disability anywhere are included and get equal access everywhere.! !